AST2017-01 is developed to be used for treatment and prevention of allergic diseases and composed of processed-Cordyceps militaris and processed-Rumex crispus. But, effect of AST2017-01 remains unclear in an allergic rhinitis (AR). So, this study aimed to explore the effects of AST2017-01 in ovalbumin (OVA)-induced AR animal model. OVA-induced AR animals were orally administered AST2017-01 and chrysophanol, an active component of AST2017-01 for 10 days. 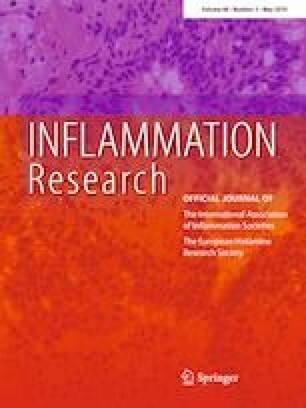 In mice with AR, AST2017-01 and chrysophanol markedly decreased number of rubs, IgE, histamine, thymic stromal lymphopoietin, tumor necrosis factor-α, interleukin (IL)-1β, IL-4, IL-5, and IL-13 in serum or nasal mucosa tissues. Moreover, activities and protein levels of caspase-1 were markedly diminished by oral administration of AST2017-01 and chrysophanol. Declines of macrophage inflammatory protein-2, intercellular adhesion molecules-1, eosinophil, and mast cells were also noted in nasal mucosa tissues of AST2017-01 and chrysophanol groups. Taken together, these findings indicate that AST2017-01 has an anti-allergic effect as a therapeutic agent or functional food for treating and preventing AR. This work was supported by Korea Institute of Planning and Evaluation for Technology in Food, Agriculture, Forestry and Fisheries (IPET) through High Value-added Food Technology Development Program, funded by Ministry of Agriculture, Food and Rural Affairs (MAFRA) (116169-3). All procedures performed in studies involving murine tissues were in accordance with the ethical standards of the institution and/or national research.